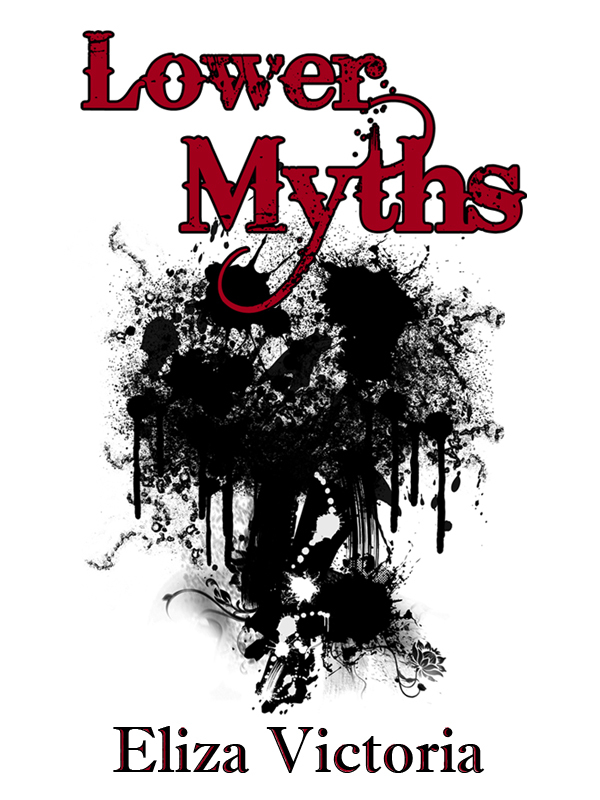 Looking for links to Eliza’s short stories, poetry, etc? Click here. Vanessa stumbles upon something unexpected in an apartment hundreds of floors above the ground: a dead body next to a single beeping monitor. In another part of the city, Criselda mulls preemptive violence after her Mod shuts down to show her a boy, a bird, a window. Is her Mod malfunctioning, or is she being manipulated? 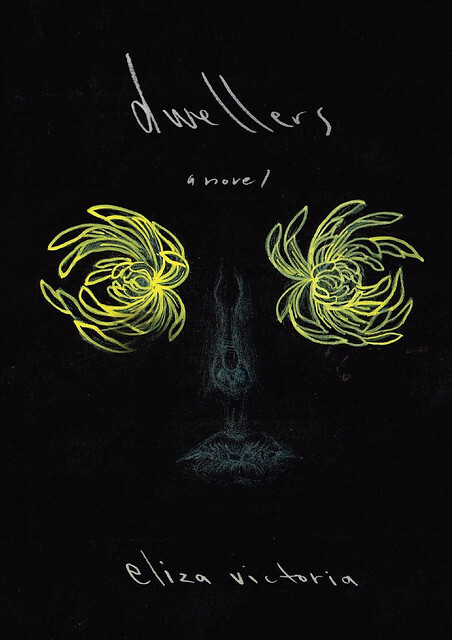 Set in a city of towers, where residents undergo biomodification in order to work more hours and earn more money, where living in the Upper Floors is the ultimate dream, Nightfall unfolds in a series of interconnected stories, exploring the lives of characters whose fates intersect and intertwine, revealing the paths they have taken to bring them to this dark night. Read the first 50 pages on Studio Salimbal. Regina was born and raised in the small town of Heridos, where gods and spirits walked the earth. Ten years ago, the whole town produced a bad harvest—rice grains as black as soot—and the people of the town moved on, away from the soil and the farms, believing the gods and spirits have abandoned them. It is ten years later, on a Friday before a long weekend, and Regina ends her shift at an office in Makati. She walks home with a new colleague named Diana. Diana, following a strange and disturbing conversation with Regina, does not appear at the office on Monday, and the day after that. On Thursday, Regina opens her bag and finds a folded piece of paper filled with Diana’s handwriting. On the page are two names and a strange map that will send Regina home. Go back to the list. 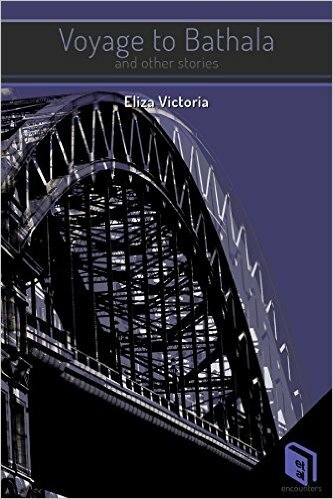 Voyage to Bathala and Other Stories collects four stories from Eliza Victoria, a prolific and commended writer who skillfully weaves genre fiction. 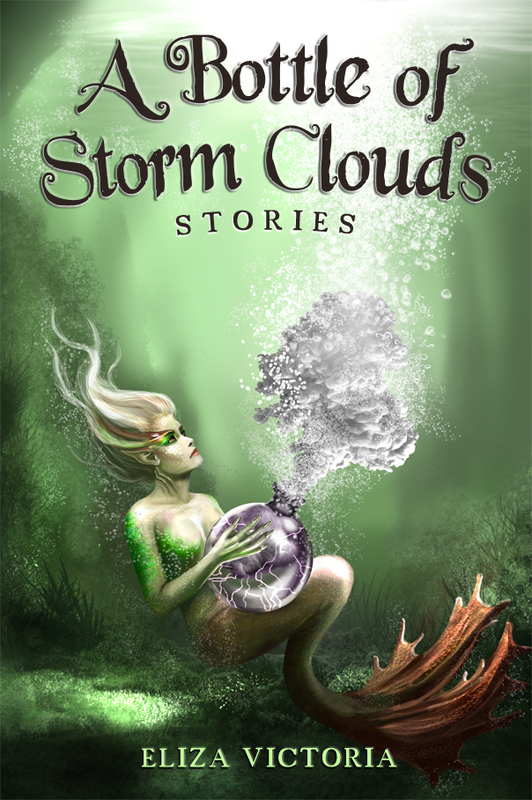 This collection serves as a sampler of her prowess in writing horror, fantasy, and science fiction, featuring characters who find themselves looking for what isn’t there, looking for answers, and looking for an escape. Rule No. 1: You don’t kill the body you inhabit. Rule No. 2: You should never again mention your previous name. Rule No. 3: You don’t ever talk about your previous life. Ever. Two young men with the power to take over another body inhabit the bodies and lives of brothers Jonah and Louis. The takeover leads to a car crash, injuring Jonah’s legs and forcing them to stay in the brothers’ house for the time being. The street is quiet. The neighbors aren’t nosy. Everything is okay. They are safe, for now. Until they find a dead body in the basement. It’s the 2020s, and robots can do pretty much anything—they can clean your house, they can keep the peace, and if you know where to look, they can even provide “company” to the lonely. Still, there are things only humans can do. Lillian is a college student looking for a summer job, and thinks she’s hit the jackpot when offered a caretaking gig by one Paul Dolores—the pay is awesome, and even gives her a Titanium card for her meals. But why can’t she find any information online about Paul, his brother Caleb, or the weird meds Caleb is supposed to take? Time for a little more in-depth research—firewalls be damned. 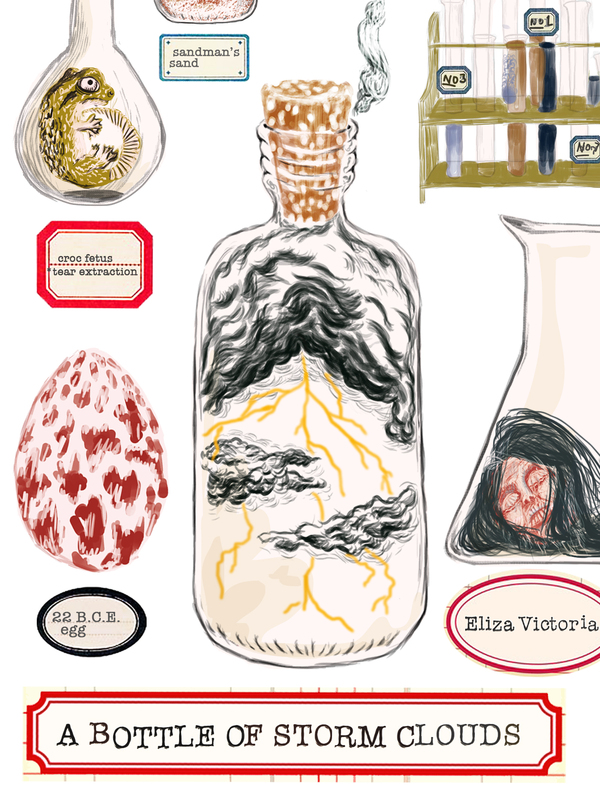 Take this bottle of storm clouds and explore the worlds within. When Anthony found Flo dead, locked overnight in one of the reading rooms of the university library, he knew it must have had something to do with Mary. Mary Prestosa, fourth year graduating Philosophy student, whom they had been investigating. Mary, who surprised her roommate one night by suddenly standing up from her bed, throwing the windows open, and jumping down, headfirst, to the dormitory grounds below. Mary, whose memory marked the trail of mysterious deaths and bizarre occurrences that followed her own fateful fall: the fifth-year Computer Engineering student who prowled the campus on all fours, thirsty for blood, believing he was a wolf; the discovery of an all-girls’ satanic cult; the demonic possession of a fourth-year student from the Department of Psychology; and now—Flo, dead. The students traced it all to Mary. They believed Mary didn’t commit suicide. They believed Mary tapped into something dark, and released it, and was consumed. And Anthony was determined to pry out the truth. Publisher: Gig and the Amazing Sampaguita Foundation Inc. 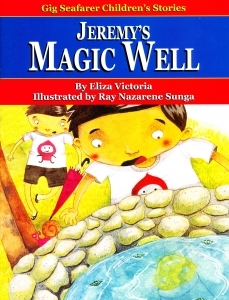 In Jeremy’s Magic Well, Jeremy’s father is mostly away, working as a cook on a foreign ship. Thanks to a magic well, Jeremy is able to see and talk to him. Following his father’s advice, he overcomes his fear of David, a schoolmate bully, and discovers that the two of them have something in common. 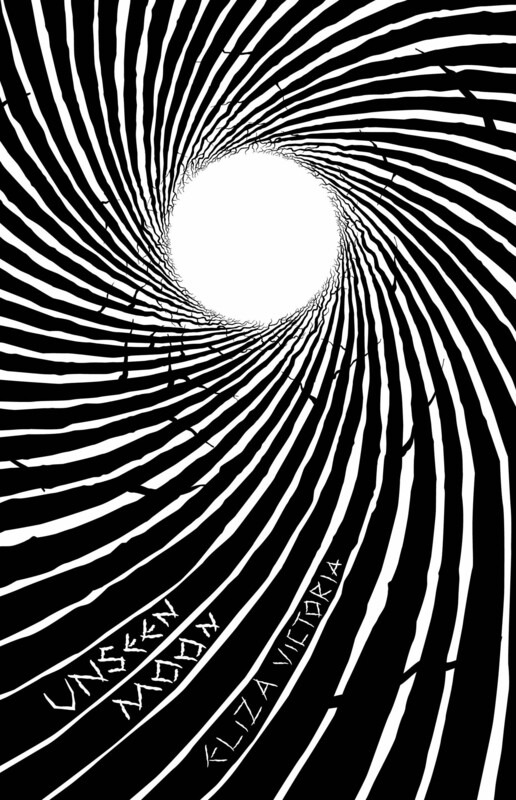 Cover art and design by Biboy Royong. Ghosts in a mansion. A home invasion. A group of friends haunted by a murder. An unlikely friendship, a dead body in an abandoned house. 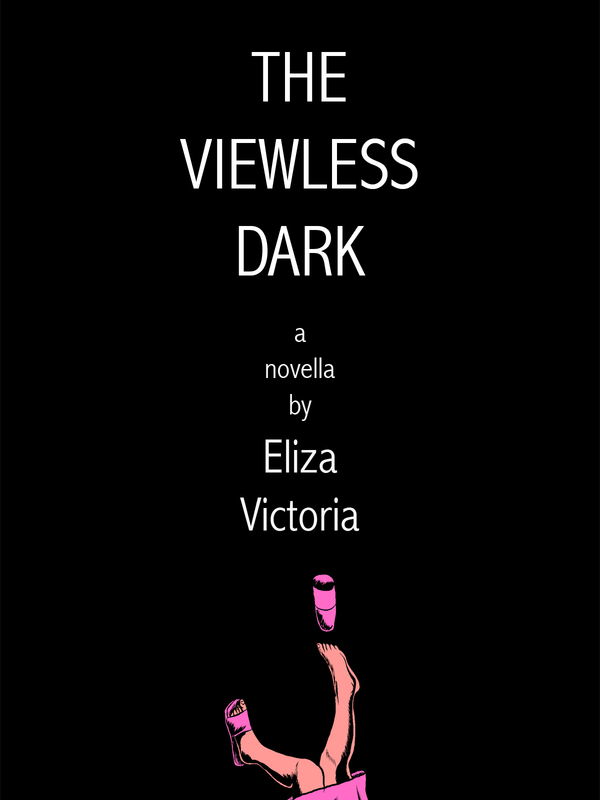 Unseen Moon collects four suspenseful stories by award-winning author Eliza Victoria. 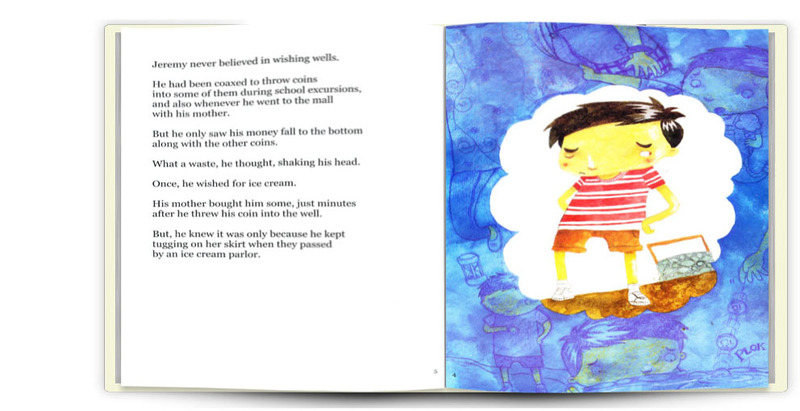 Limited print copies released March 5, 2013. 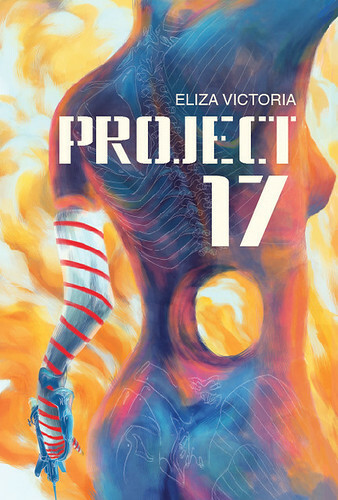 Cover art and design by Adam David. 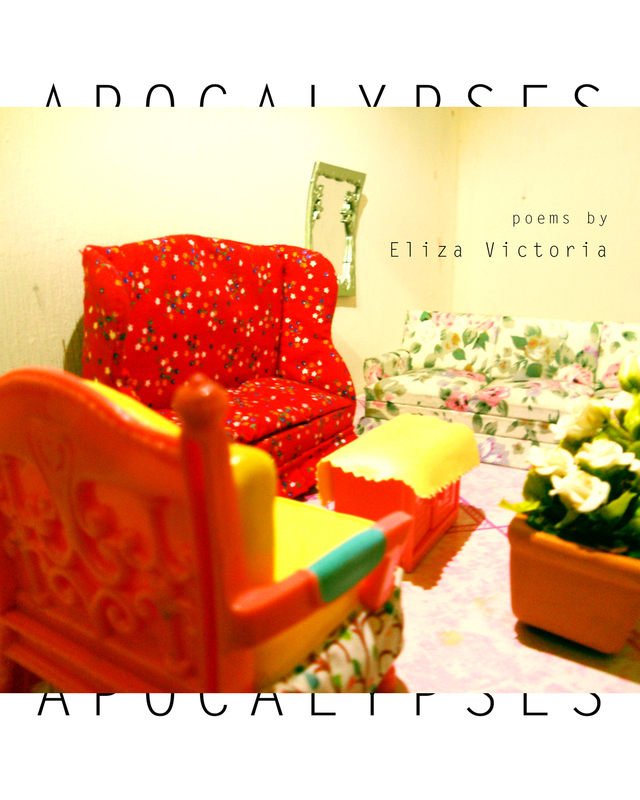 Apocalypses collects poems from Eliza Victoria’s Palanca Award-winning collections “Maps” (2011) and “Reportage” (2009), as well as poems that have previously appeared in various publications, including High Chair, Kritika Kultura, Room Magazine, The Pedestal Magazine, and Stone Telling.